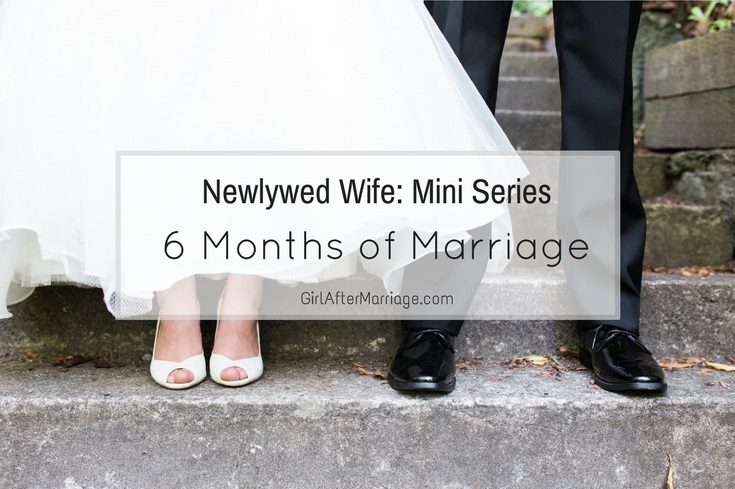 The 6-month mark of being a newlywed wife has passed, and married life has been joyous as ever. There have been many special occasions to celebrate, events to host, and adding a new addition to our little family. We ended up taking home our fur baby, Shiloh, on Thanksgiving. She is from a batch of puppies my sister’s dogs, so we had her “picked” out quite early. I put quotation marks around the word “picked” because we thought long and hard (for weeks actually) whether or not we wanted to get a dog, but otherwise had dibs on her. We were newlyweds, and still settling into married life. 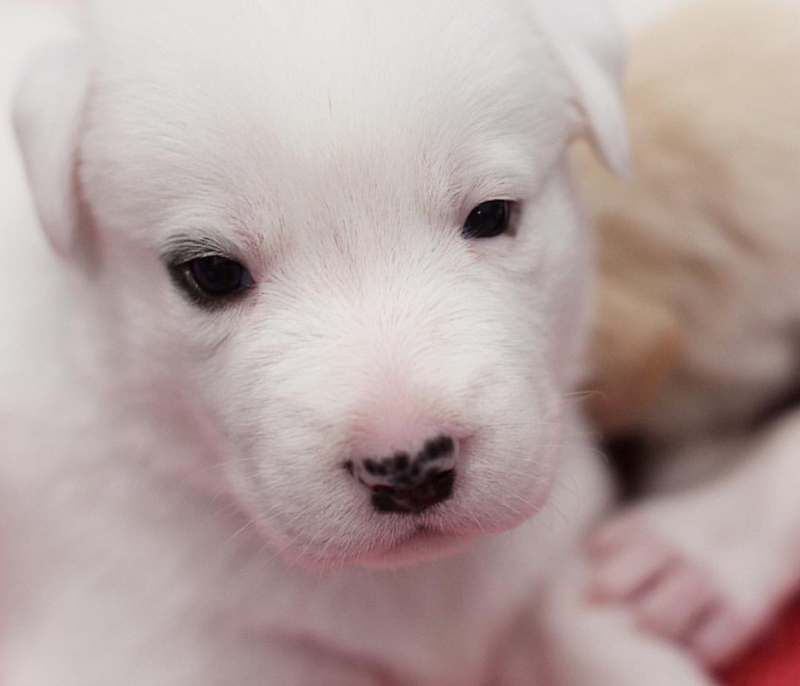 However, we fell in love with this adorable, one eyeliner face, and realized that life is too short, and nothing was holding us back. I wanted to be this baby girl’s mom so bad! It was a spur of the moment decision that night, but we wrapped her up and took her home. I laugh about that night because we came for the yummy food and ended up leaving with a puppy in our arms. Those first few months were exhausting and lots of work. Having a puppy is like having a baby/toddler. There was lots of waking up in the night and little sleep. I like to think of it as preparing for the real thing. The house training was a trial in itself, and the furniture and our arms were ridden with little teeth marks. However, the cat was not impressed by this new addition, but don’t worry; she got over it quickly. Cuddles and kisses were given freely, and before we knew it, our baby was growing up. 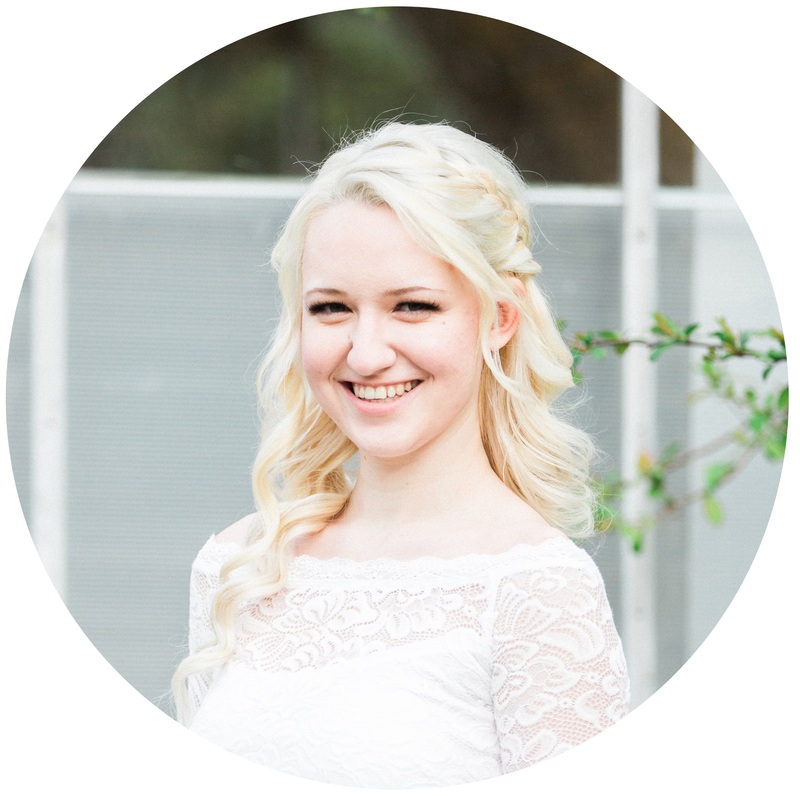 I’m sure it is well known by now how much I love arranging and hosting parties – I am the Hosting Queen! And there sure was plenty of parties during this time. We celebrated my birthday the following month. It was a lovely occasion, and I had a lot of fun! It was great having all my friends and family together in one room, all there to celebrate my first birthday as a married woman. Before we knew it, the holiday’s were upon us. 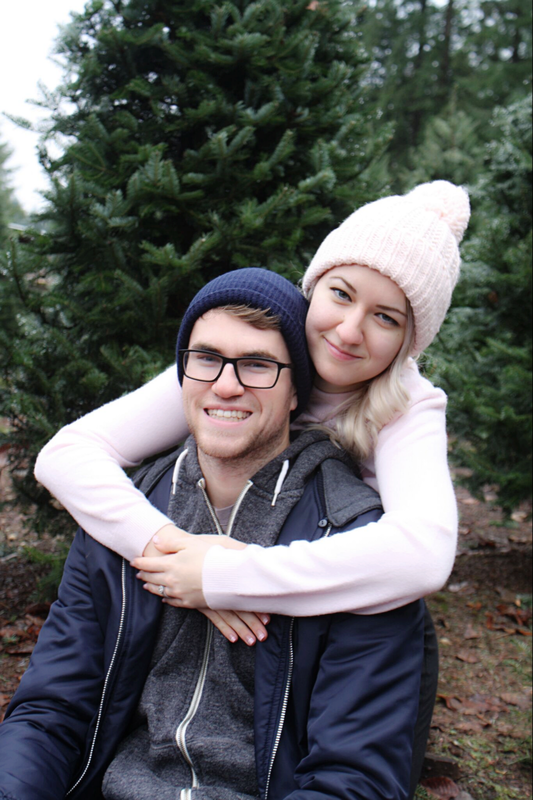 We started new Christmas traditions as husband and wife, such as cutting down our first tree and decorating it together, baking goodies, and watching cheesy Christmas movies. I ended up hosting yet another party with just my girlfriends – an Ugly Christmas Sweater Party. Prizes were handed out for ugliest sweater, there was so much food that there wasn’t an inch of space on my kitchen counter, and we played board games for a majority of the evening. Soon it was Christmas, and we visited many families during those two days (everyone wants to see the newlyweds!) We spent Christmas Eve with my family, a noisy affair now with little children in the mix and the family expanding. Early the next morning, we headed to a family friend for Christmas brunch, with our puppy in tow. After that, to the in-laws! We ate more yummy food and had a lovely conversation. But before we could head home, we detoured and drove over to my sister’s house for her first ever Christmas dinner. We were stuffed and tired by the end of the day. 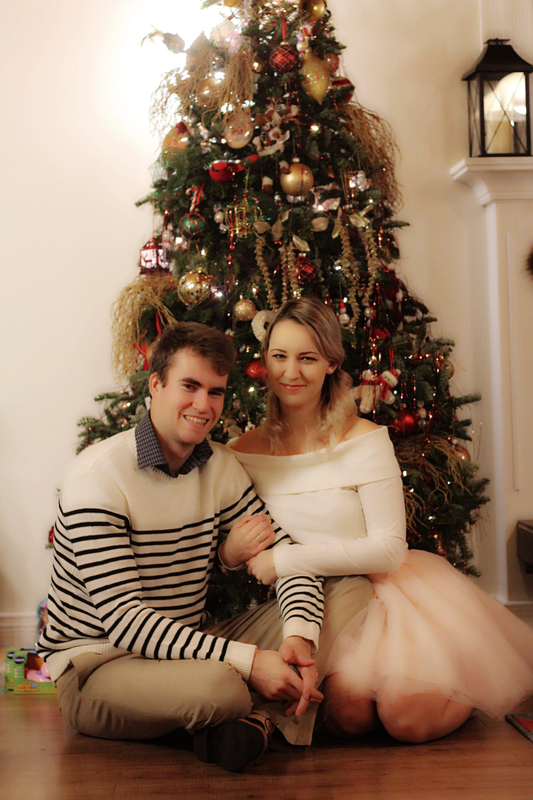 We fully embraced our first Christmas as husband and wife. A week later, we hosted yet another party, New Year’s Eve! Nothing like ringing in the new year with friends and family in our new home. Food was once again covering my entire kitchen counter, music playing to the max volume (courtesy of my cousin who was our DJ for the night). Mario Cart was running on the TV. Children were running around, chasing and playing with the dog. Champagne was served all around. My favourite part, however, was after the party. Friends stayed the night, and we stayed up till 5 am watching a horror movie. This did not last long though. People were passing out pretty quickly, finding anywhere they could rest for a few hours before heading home. In conclusion, it was a fantastic night, and finally, the holiday’s were over. 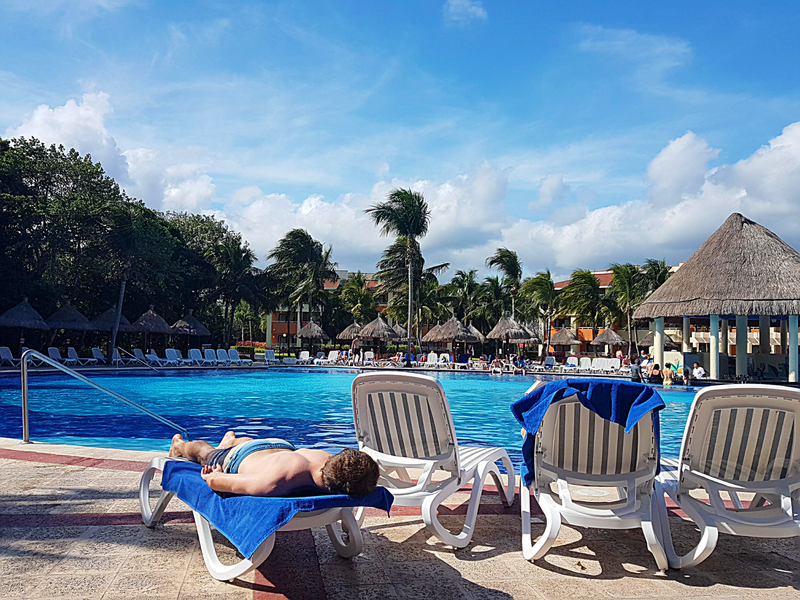 Once all the holiday’s ended, we spontaneously went on our second honeymoon to Mexico! 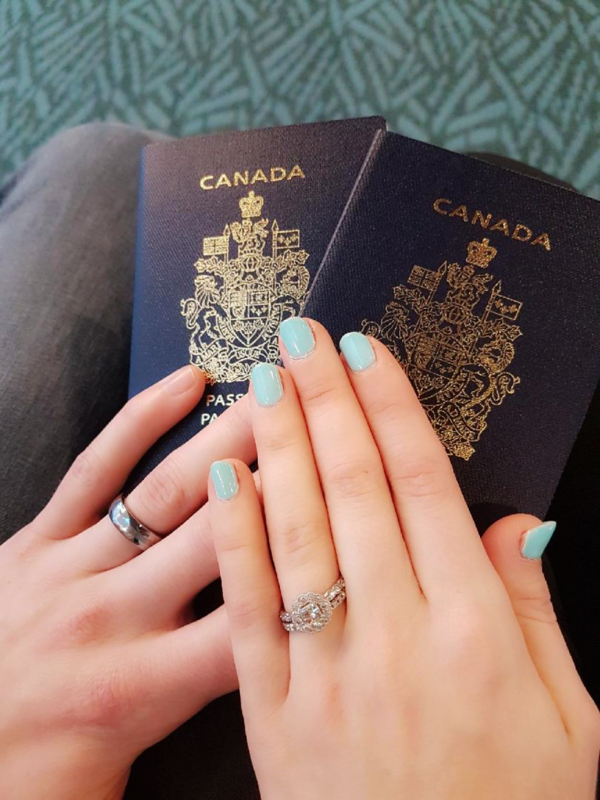 By spontaneous, I mean we left within a week! 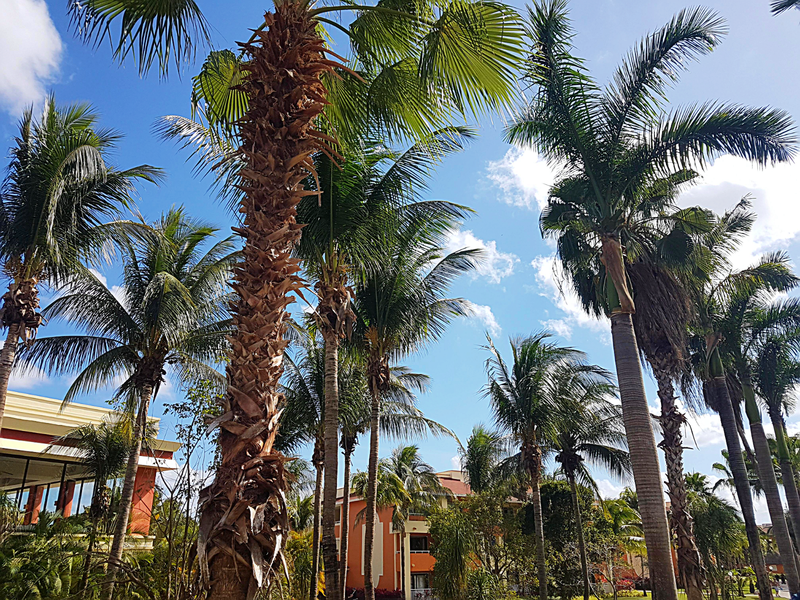 We had a fantastic time, and it was a dream to get away from the cold and snow to the warmth of sunlight, soaking in all the vitamin D. We lounged by the pool, tried new food and made appointments at various restaurants within the resort. I even booked a couples massage for us, which was an exciting and interesting experience, but one I thoroughly enjoyed! It was a lovely time, and having a whole week to just focus on each other during this time, no worries of home on our minds. I also jumped head first into blogging, building my site from scratch, tweaking, writing, and learning everything I could about blogging. It is a lot of work setting everything up and getting ready to launch. But I ended up finding a new passion through it all! I don’t know why I didn’t start sooner. As for us, we’ve gotten closer as a couple, stronger, and reached a deeper level in our relationship. We’ve become more comfortable which each other than ever before. We definitely do all the stereotypical married couple stuff you hear about, too. And honestly, married life in the first year isn’t as bad as some people make it out to be. Although I shouldn’t speak too soon, we still have another 6 months to go! Since it was winter, there wasn’t much work for Matt to do, which meant he stayed home more often. I loved this since it meant I got to spend more time with him. However, it was also a challenging time for us. We had to stay on a tighter budget than usual. 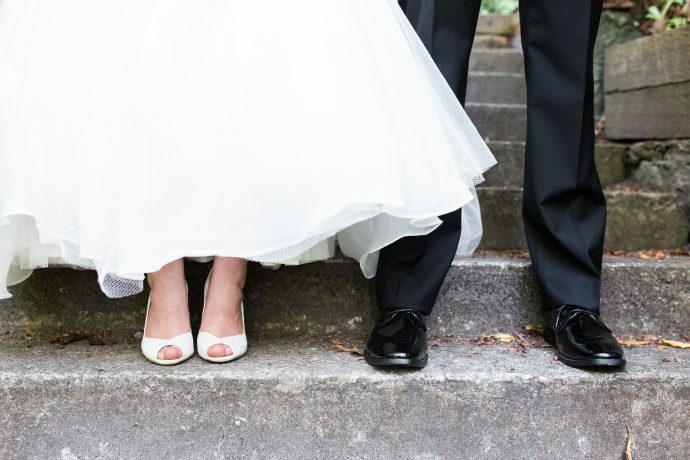 It wasn’t as awful then what you usually hear from young newlyweds – cannot pay for groceries, bills piling up, etc. We had to learn together how to live a little tighter and watch where our money was going. There were no arguments though, and no stress brought into our marriage. We had enough, and we had each other, and that was all that mattered. We knew God would provide where needed, and we put our trust in Him. In the end, we were perfectly fine. God did provide for us during this time. I cannot wait for springtime to arrive and reminisce on the time where we were planning our upcoming nuptials and engagement events. Be back soon with an update on what 9 months of marriage is like!